Home political news political reviews Is there an economic case for Gorkhaland? Is there an economic case for Gorkhaland? In the Lok Sabha elections of 2009, Darjeeling district in West Bengal had a surprise candidate—former Union minister and senior Bharatiya Janata Party (BJP) leader, Jaswant Singh. The BJP had promised to carve out a state of Gorkhaland in its manifesto, and in return received the support of the dominant regional outfit, Gorkha Janmukti Morcha (GJM), which was spearheading the movement for a separate state. Riding on the statehood movement, Singh went on to win a thumping victory. But he was less successful in convincing his parliamentary colleagues about the need for a separate state. The statehood movement too lost steam, thereby making the issue less urgent for national political parties. While the GJM-led movement has lost its intensity over the past few years, the demand for statehood still retains potency. 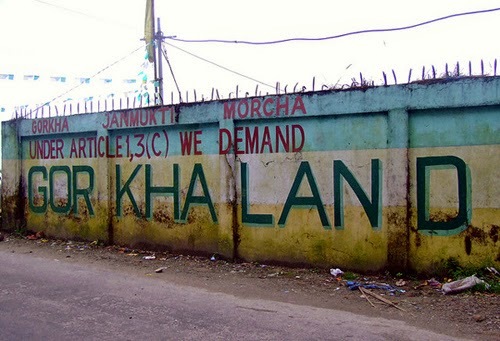 The Gorkhaland region, comprising the districts of Darjeeling and Jalpaiguri, is home to a large number of Nepali speakers, who resent being part of a state dominated by Bengali speakers. It remains among the earliest demands for statehood in India. While the cultural divide between this region and the rest of the state may be significant, the economic differences are less so, a Mint analysis, based on a wide range of district level development indicators shows. When it comes to the ownership of household assets such as TVs or motorbikes, Gorkhaland districts outscore other districts of West Bengal. Gorkhaland’s mean score on the composite asset index is higher than that of the rest of the state. The proportion of asset-poor households (those without any of the assets specified in the census) is lower in Gorkhaland than in rest of West Bengal. The pattern is broadly similar when it comes to access to amenities such as electricity and tap water. For instance, Darjeeling has the second highest proportion of households with power connections in West Bengal. It ranks fifth among the 18 districts of West Bengal in terms of access to a water connection at home. The poorest part of West Bengal lies to the immediate south of Gorkhaland, in a narrow belt stretching from Uttar Dinajpur to Birbhum, where a large proportion of households lack access to both assets and amenities. The asset index used to rank districts in this analysis is a composite index based on census data on ownership of household assets such as cars, motorbikes, TV, radio, access to banking, phones and bicycles. The amenities index is a similar gauge based on access to amenities such as toilets, tap water and electricity. Both indices have been constructed using principal components analysis, and have been normalized to take values between 0 and 1, with values closer to 1 indicating greater ownership of assets (or access to amenities). Newly created districts have been merged with their parent districts to ensure comparability between 2001 and 2011 figures in the analysis. In terms of consumption expenditure, Gorkhaland underperforms the rest of West Bengal, according to data from the National Sample Survey Office (NSSO). But Gorkhaland’s mean rural consumption expenditure is only a shade below that of the rest of the state. While the issue of statehood may be a very emotive one, the region does not appear to lag behind the rest of the state when it comes to development indicators. This is the fourth part of a five-part data journalism series on intra-state inequality in India. The previous three parts examined the regional divide within UP, Maharashtra, and Karnataka.